The PKI 9865 Mine Shoes are built on the theory of air cushions, which support the body while reducing the pressure in relation to the minefield. PKI 9865 Mine Shoes are the culmination of years of research and have been designed and developed by teams who tested and used them in the field. PKI 9865 represents a totally unique concept enabling the wearer to traverse a mine field over mud, water or any other terrain safely. By simply slipping the compact unit out of his luggage and inflating the air cushions, the user can continue his way within only some seconds. The shoes fold up into a small lightweight package that can easily be stored in a rucksack. 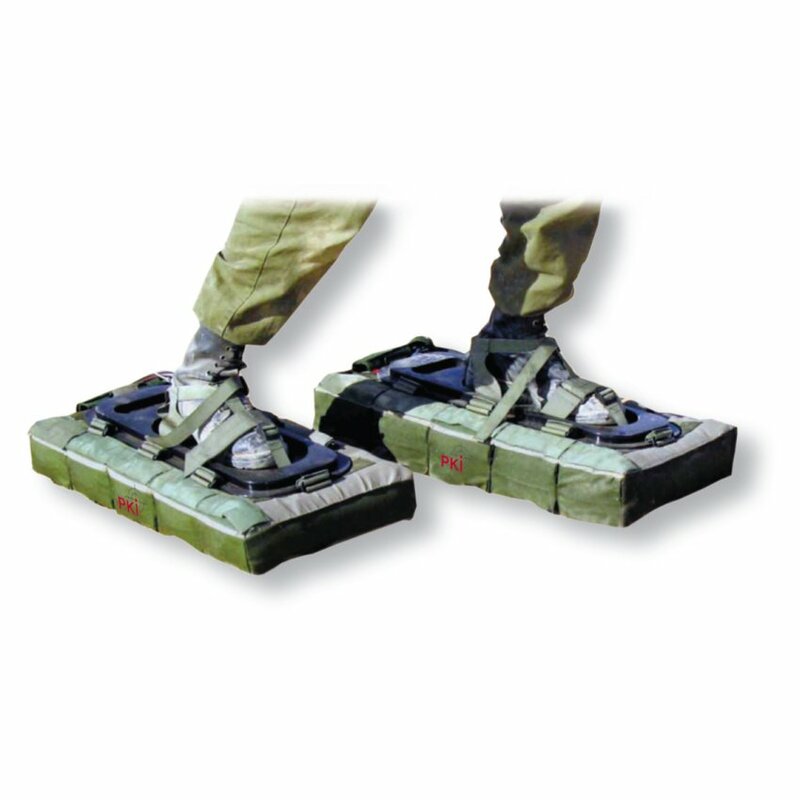 The mine shoes are made of sturdy nylon, nylon-reinforced PVC, coated aluminium and steel alloys. The five-air-cushions are of specially designed, patented material created for maximum strength and resiliency. Metallic parts will not interfere with mine detectors or any other metal detectors.